Wallabies players celebrate with the trophy after beating Argentina. MICHAEL Cheika has declared it's up to Wallabies players, not him, to ensure their miracle win over Argentina proves a defining moment in their evolution and not just another false dawn. 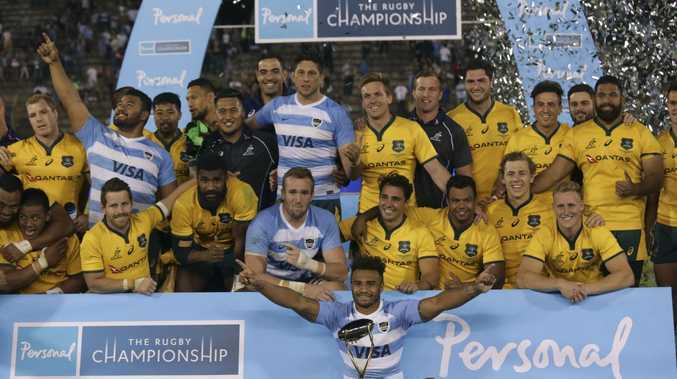 After celebrating one of the most astonishing comebacks in Test history in Salta, Australia's attention has shifted to the next steps on the road to the 2019 World Cup in Japan. 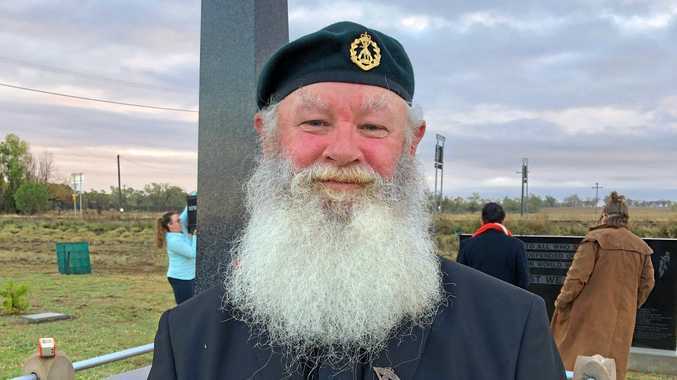 Their next assignment is against New Zealand - who performed their own Houdini act to beat South Africa at the death on the weekend - on October 27 in Yokohama, where the World Cup final will be played. 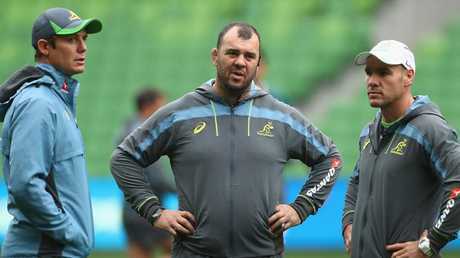 Cheika is under no illusions that another first half performance like the one against Los Pumas will see the Wallabies torn to shreds in the third Bledisloe Cup Test, and likely renew speculation about his own position. "I think there's a season's worth of learning in that game for our lads and now it's up to them to take it," he said. "No one can force that into their minds, into their conscience or their subconscience. "They've got to take the necessary pieces that are going to help them to be stand out players going forward. "Maybe I don't need to spoon feed them. "Maybe they just need to work it out themselves as individuals and bring it." Cheika intends to let the dust settle for a few days before assessing what squad he will name for the trip to Japan and the tour of Wales, Italy and England that will follow to round out their 2018 campaign. But it's clear there will be at least a few changes. Tom Robertson has not yet received scans on his injured knee after going down at training last week in Buenos Aires but Cheika said he believed it was an ACL tear. Sekope Kepu also came away from the 45-34 win over Argentina with a shoulder knock, although it's not clear how serious it is. The injuries could open the door for Jermaine Ainsley or even James Slipper, who hasn't played a Test this year or made a Super Rugby appearance since May because of his suspension for cocaine use. 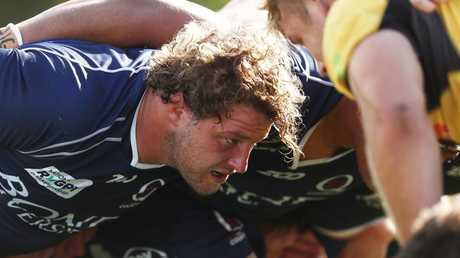 James Slipper could earn a recall to the Wallabies pack. Slipper has been playing in the National Rugby Championship as a tighthead but Cheika said he would only be considered as a loosehead, given that is where he has played most of his rugby to date. Centres Samu Kerevi and Tevita Kuridrani are also returning from injury, although neither will be ready to contend for a Wallabies squad spot until the European tour. Cheika was also noncommittal on Leicester pair Matt Toomua and Tatafu Polota-Nau. They won't be available for the All Blacks Test due to club commitments and may not feature beyond that depending on how they pull up from the English Premiership season, Cheika said.